Habaneros harbor high heat intensity. 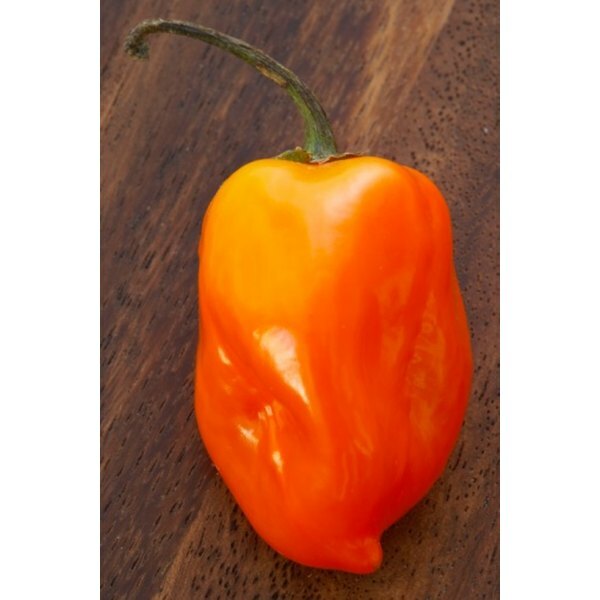 Habanero peppers have a high level of capsaicin, which is what gives peppers their heat or spiciness. Heat in peppers is measured in Scoville units - the higher the amount, the hotter the pepper. For example, jalapeno peppers have 2,500 to 3,500 units, while habaneros have 300,000 units. The dried habanero powder can be as a replacement for cayenne pepper or red pepper flakes. Combine the habanero powder with cooking oil for a dynamite chili oil. But because they are so hot, you must use extra caution when grinding habanero peppers. Wash the peppers, and cut off the stems. Place them in a dehydrator until the peppers are dry and crisp. Put on the safety goggles, face mask and latex gloves. Grinding the peppers releases minute particles of peppers in the air. Those particles contain capsaicin. Breathing them or getting them in your eyes hurts. 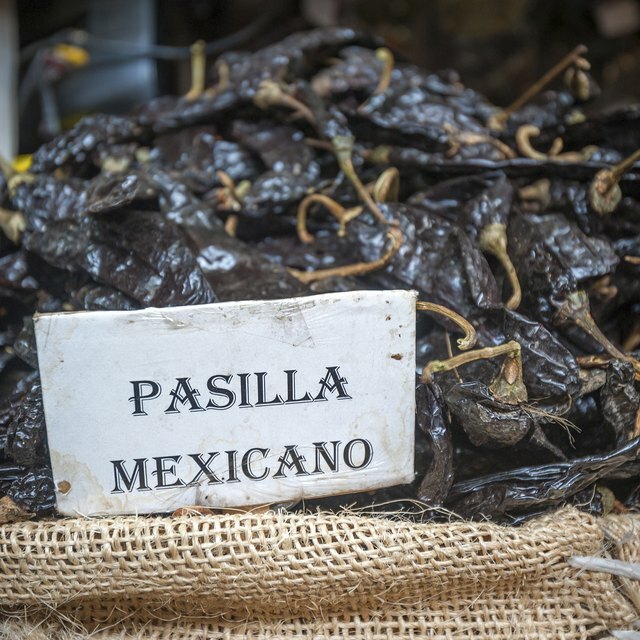 Do not touch your eyes or nose after handling the peppers, as this can be painful and cause irritation. Place the dried habaneros in a plastic storage bag, and squeeze out most of the air. Seal the bag, then pound on the peppers to break them into smaller pieces. Smaller pieces grind faster and you can put more of them in the grinder at once. Place the spice grinder on the cook top or stove and turn on the ventilation fan. Open the bag and fill the spice grinder. Replace the lid and pulse the grinder by pressing the lid down and then releasing. Or turn the grinder on and off using the switch. Wait 30 to 60 seconds after the batch has been ground so the pepper dust settles back into the peppers. Continue processing the peppers until they've all been ground. Take off the latex gloves, and remove the face mask, and then throw both away. Take off the goggles, and wash them thoroughly. Chop fresh habaneros with a knife or cutting board until they're finely minced, rather than using a food processor to grind the peppers. Most recipes call for only a few peppers. Store the ground habanero peppers in an airtight container. Do not use the coffee grinder for anything but grinding hot peppers. Washing it does not remove the capsaicin. Otherwise your next cup of coffee will do more than just wake you up. The United States National Arboretum: What Is the Hottest Pepper I Can Grow? How do I Make Sweet Paprika?